We recently had a guest at the preschool who told our students about organic, sustainably grown bananas. Mr. Kaito, who owns the nearby produce shop, Mart Shiroyama, even brought samples to share. Yum! 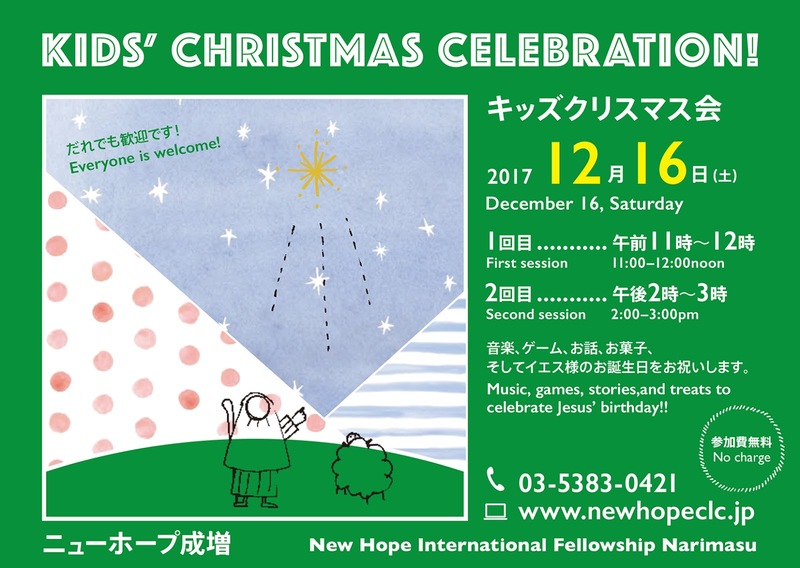 Two exciting Christmas events are coming up from New Hope Narimasu. 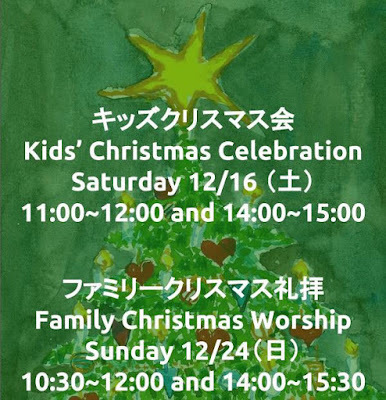 At the Kids' Christmas Celebration on December 16 (Sat), your children can enjoy music, games, stories, and treats to celebrate Jesus' birthday. 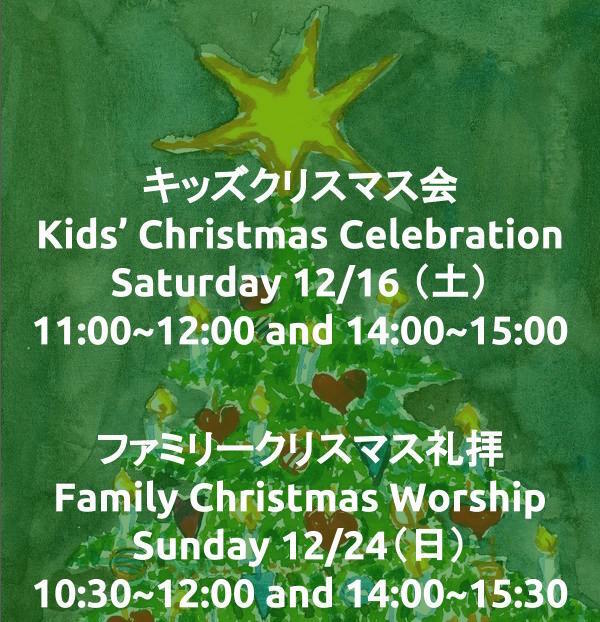 The whole family will enjoy Family Christmas Worship on Christmas Eve, December 24 (Sun). 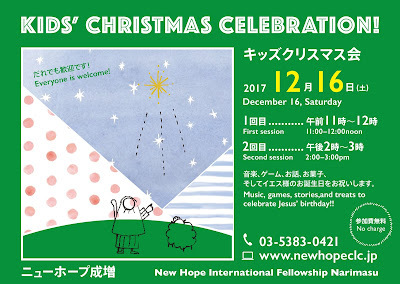 Whether you are a Christian or not, Christmas is a wonderful time to sing Christmas songs, watch a beautiful Christmas dance, and hear an encouraging message. Craft: Children made fire engines from colorful pieces of paper. This helps their fine motor skills and their sense of symmetry. 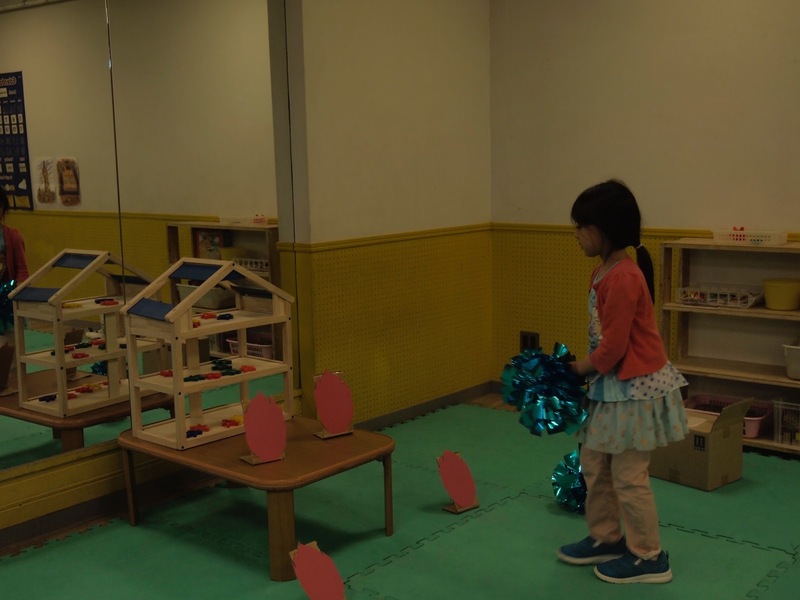 Science: Children learned that fire needs oxygen. They saw what happened when a jar was placed over a candle and the oxygen supply was cut off. PE: Children completed a firefighter relay which included putting out an imaginary fire and rescuing the people in the dollhouse. Put out the fire! Save the people! 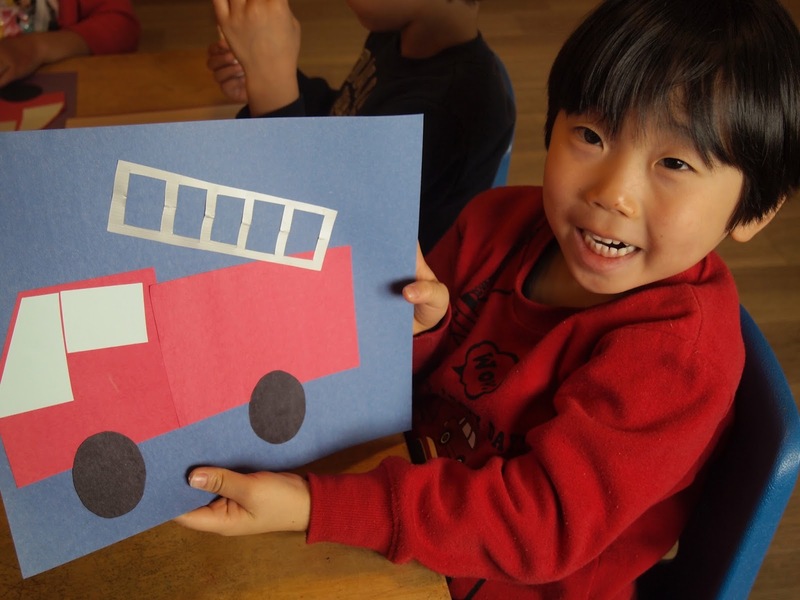 Stories: Children saw and heard several picture books about firefighters. 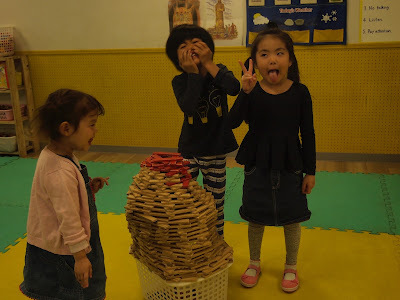 Free-Choice Time: We noticed the children including fires and firefighting in their free-choice play. Is that building on fire? Outing: Children visited a nearby fire station to learn about fire safety and what it is like to be a firefighter. Fire Drill: We chose a day during “fire week” for our monthly disaster drill. I hope you can see that when everything we do fits with the theme, the whole is greater than the parts! We will hold this year's second preschool information session on Saturday, November 11, from 2:00 to 3:00PM. Please come if you are considering New Hope Preschool for your child. If you know anyone who might be interested, please tell them about it. You may bring your children. Signups are not required. If you need more information, let us know. We will hold a preschool information session on Saturday, September 16, from 2:00 to 3:00PM. 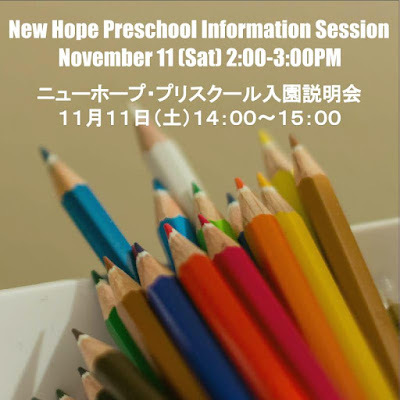 Please come if you are considering New Hope Preschool for your child. If you know anyone who might be interested, please tell them about it. You may bring your children. Signups are not required. If you need more information, let us know. 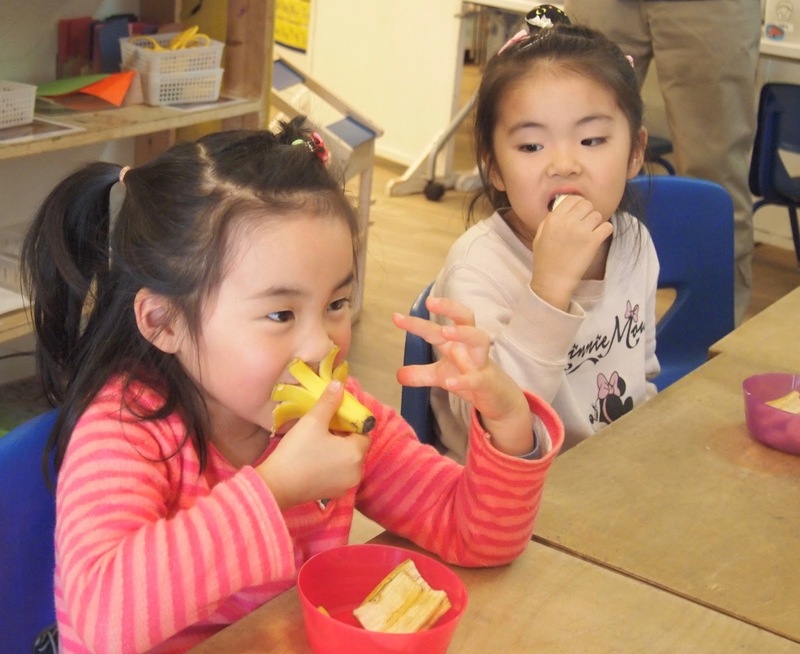 This year’s themes are “Fruits and Vegetables” for younger children, and “Around the World in English” for older children. 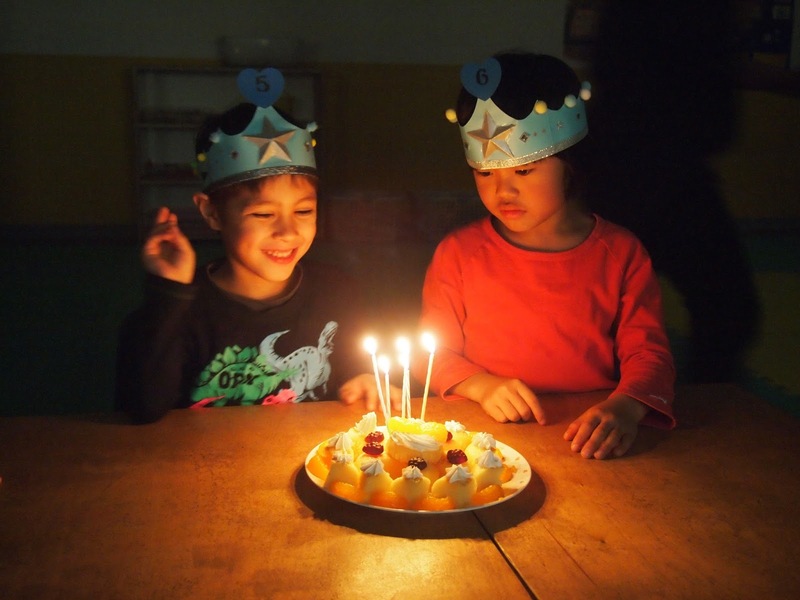 Join us for 15 days of stories, crafts, games, and activities—all in English. Dates and Times: July 31-August 25 (except for August 10-16). Monday through Friday 10:30am to 1:30pm (drop-off from 10:15). 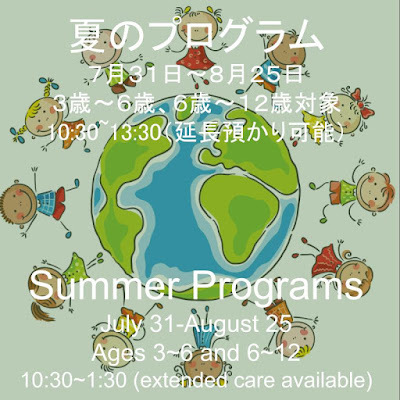 Extended care available from 9:30 to 10:15 and 1:30-2:30. Ages: 3-6 years old (through kindergarten). 6-12 years old (first through sixth grade). Fees: ¥48,000 for 15-day program or ¥4,000 per day. 10% sibling discount. Payment reserves your child's place. No refunds after July 28. All fees include consumption tax. 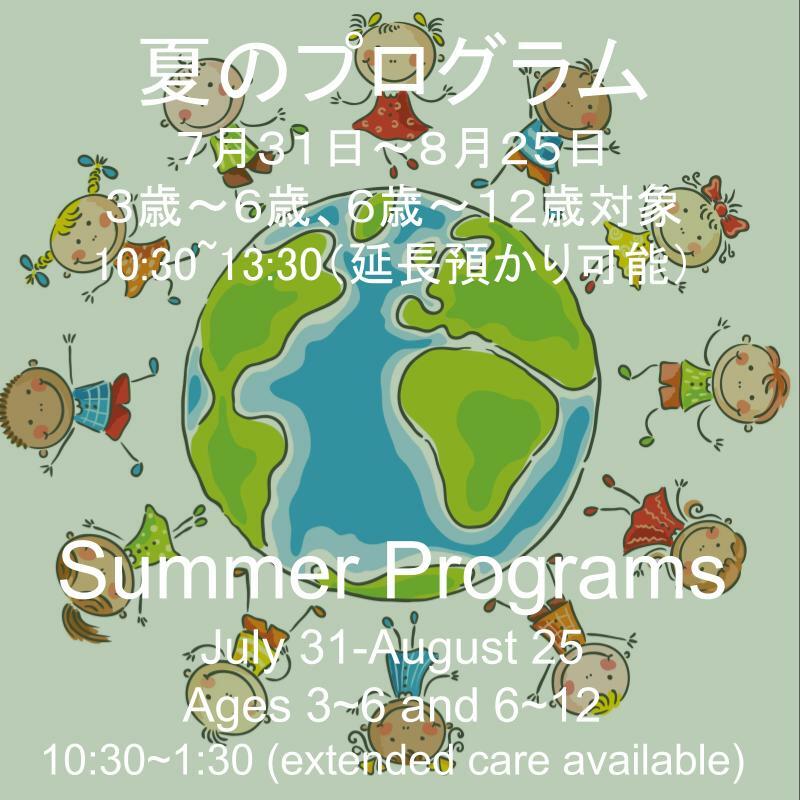 Extended Care: ¥800 per family per day for drop-off between 9:30 and 10:15. 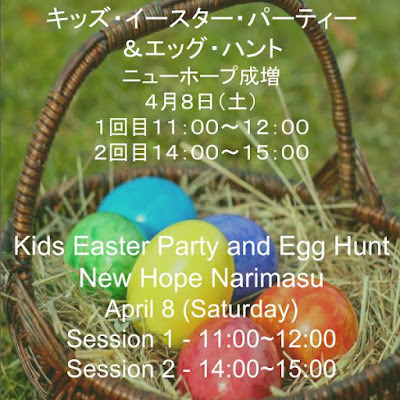 ¥1000 per day per family for pick-up between 1:30 and 2:30. Apply with a paper application form or online (younger children's application) (older children's application). Bring a lunch, drink, towel, toothbrush, cup. Also indoor shoes and change of clothes for younger children, and pencil and notebook for older children. 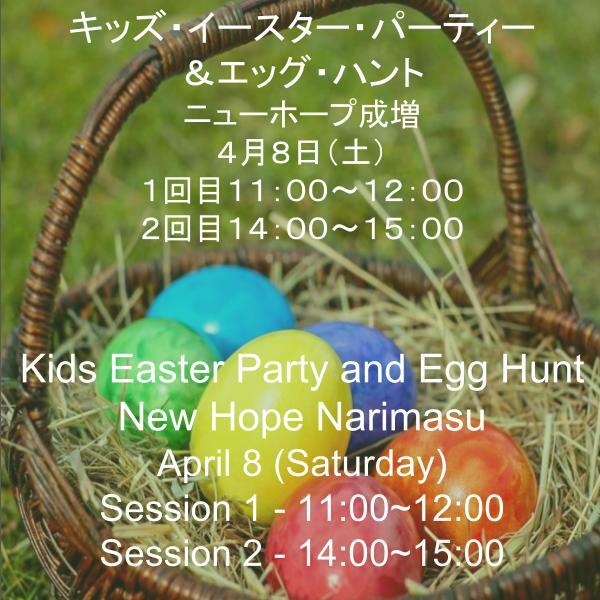 *Please note that the location for the older children's program is 5-1-3 Narimasu, next door to the preschool. 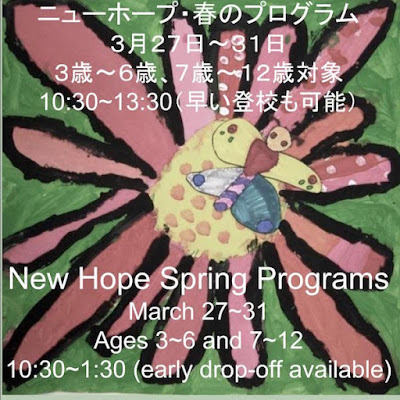 This year’s themes are “Flowers and Bugs” for younger children, and “Around the World in English” for older children. Join us for five days of stories, crafts, games, and activities—all in English.